New sightseeing on the exciting Malacca River Boat Cruise plus the bird eye’s views from the 110m (350 feet) high Malacca tower (Menara Taming Sari) and the Eye on Malaysia are attracting a high number of tourists. It appears that the global economic slowdown has not affected Malacca’s tourism numbers as arrivals have surpassed the 6.8 million target set for last year. 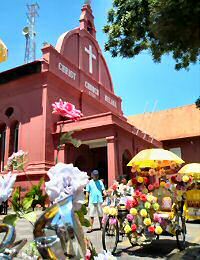 7.2 million tourists visited the historical city of Malacca in 2008. “We hope to attract more visitors this year with the addition of several new attractions as we aim to attract eight million visitors to Malacca by 2010. Among the new attractions are a water screen and aerospace dome next to the Eye On Malaysia to be ready by April and a monorail and roller coaster in Taman Rempah set for completion in September. Mydin Hypermarket and Jusco Shopping Mall, scheduled for completion in April and December respectively, would also help lure visitors. 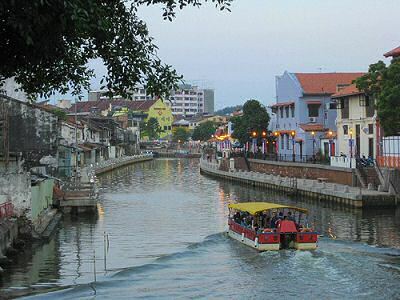 For all new attractions I prefer the enchanting Malacca river boat cruise. 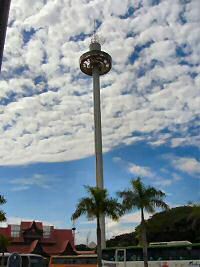 Do you really need a roller coaster in the center of historical Malacca Malaysia?